Finding a good cartoon logo designer is hard work. Finding a great cartoon logo designer who is also affordable is even harder work. Allow me to lift the burden and create you your tailored cartoon logo with an exceptional, professional service. Hundreds of clients have entrusted me over the years to make them a cartoon logo that’s not only eye catching and professional, but one that is memorable and creates a lasting impression. My cartoon logo designs include unlimited revisions, so I would endeavour to work on your logo until you are 100% satisfied. 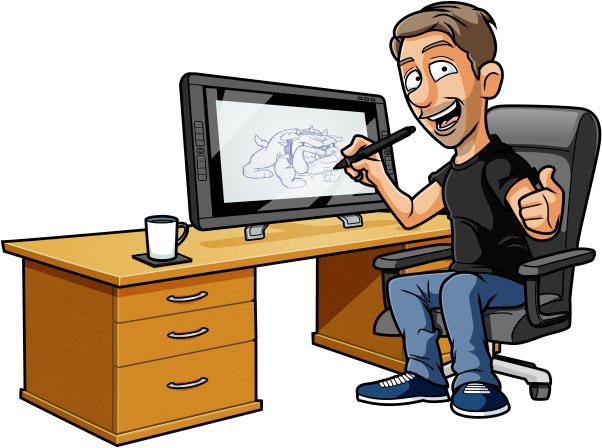 Why Use My Cartoon Logo Design Services?